We are now closed for the season. 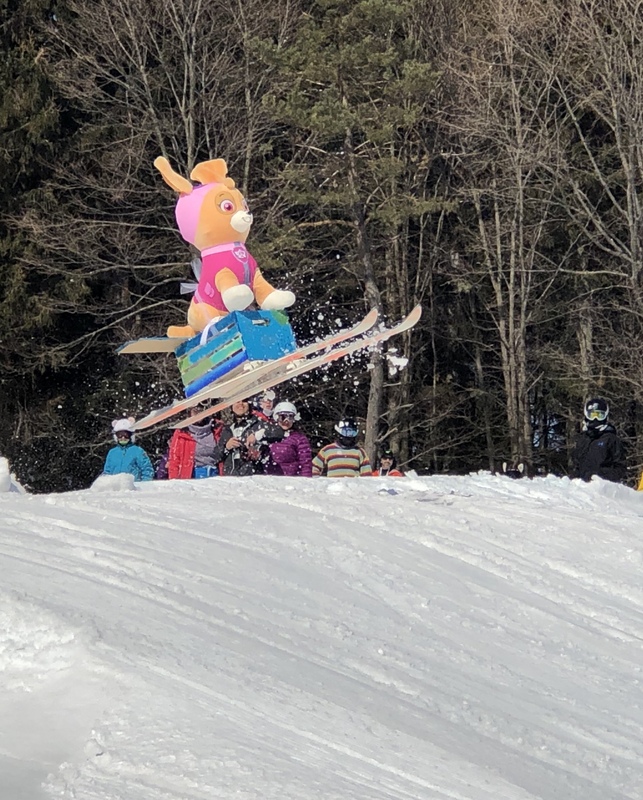 We wish to thank all of our customers, sponsors, volunteers and community partners for your continued support and enthusiasm for winter fun in our beautiful city of North Bay. Until winter falls upon us again, we wish you well. Laurentian Ski Hill Staff. 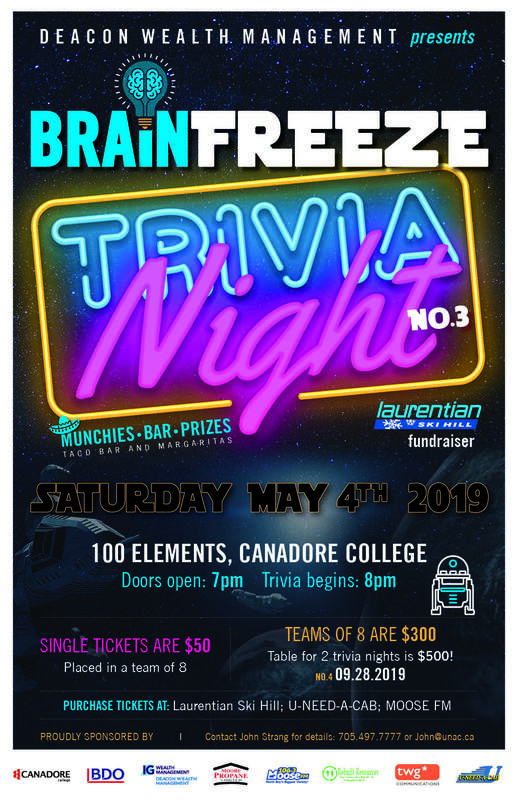 The first two Brain Freeze events have been a huge success, so don’t miss out on this great fundraiser for Laurentian Ski Hill. May the 4th is the next one at 100 Elements at Canadore College. Tables of 8 are $300. End the season with a splash! Or stay dry.... you choice! 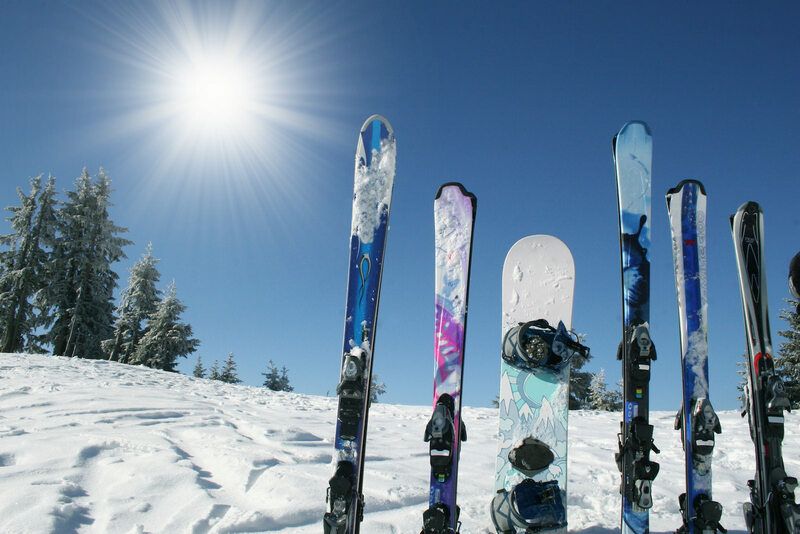 No charge to enter, except a lift ticket or season pass, a good attitude and a costume! 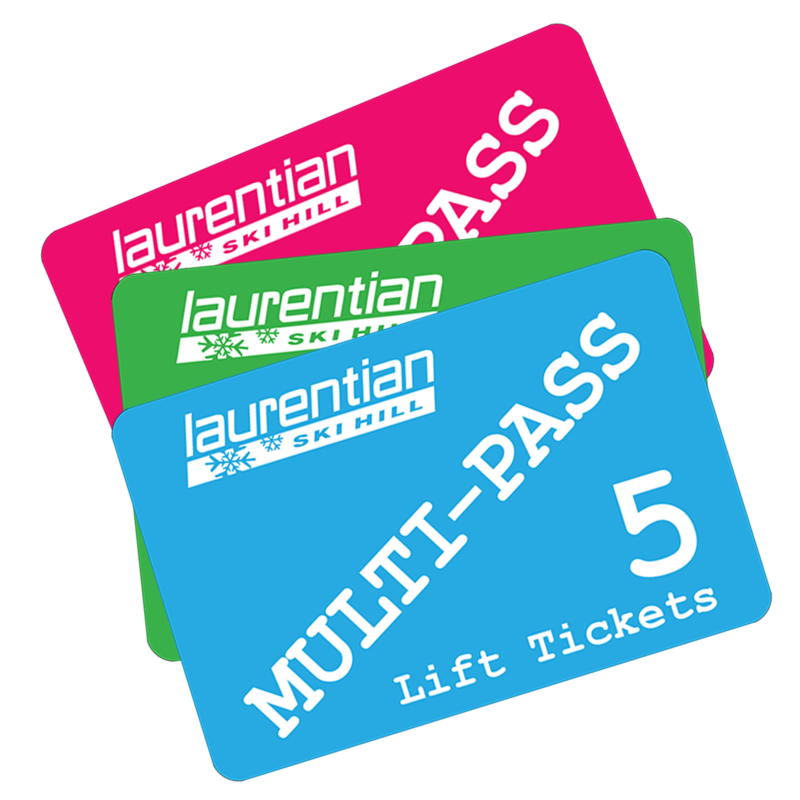 We offer a variety of passes that are sure to suit everyone's needs! 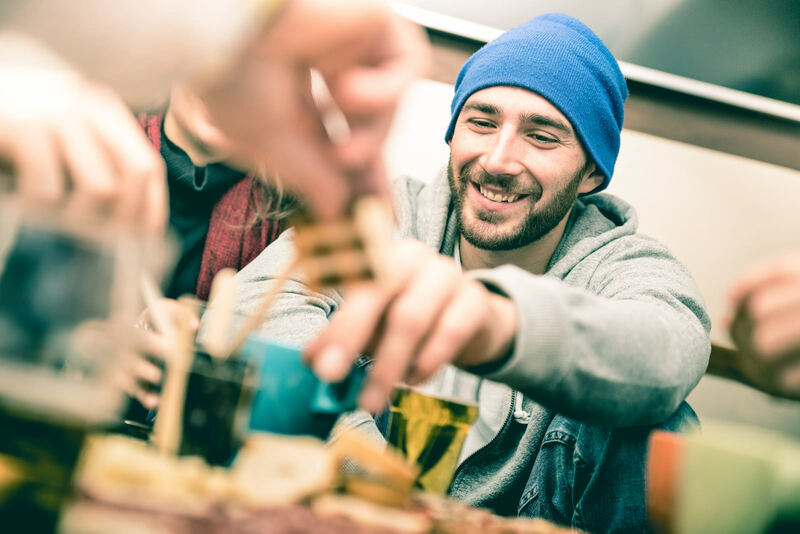 Stop in to warm up, grab a bite to eat or hang out with some friends in the licensed Laurentian Cafe. SIGN UP AND RECEIVE PROMOS!